Asteroids Transformed the Earth - Solar System Planets And Moons Section. Massive asteroids Transformed the Earth's Surface. At least three massive asteroids smashed into the Earth more than 3.2 billion years ago, and caused such destruction, they dramatically changed the structure and composition of the Earth's surface. This is according to new research from scientists at the Australian National University. The team uncovered evidence of major earthquakes, faulting, and volcanic eruptions that were so violent they dramatically changed the way the Earth's surface was forming. This happened during a period that the Moon also suffered heavy bombardment. A cluster of at least three asteroids between 20 and 50 kilometres across colliding with Earth over 3.2 billion years ago caused a massive change in the structure and composition of the earth’s surface, according to new research by ANU Earth scientists. According to Dr Andrew Glikson and Mr John Vickers from the Department of Earth and Marine Sciences at ANU, the impact of these asteroids triggered major earthquakes, faulting, volcanic eruption and deep-seated magmatic activity and interrupted the evolution of parts of the Earth’s crust. The research extends the original discovery of extraterrestrial impact deposits, discovered in South Africa by two US scientists, D.R. Lowe and G.R. Byerly, identifying their effects in the Pilbara region in Western Australia. "Our findings are further evidence that the seismic aftershocks of these massive impacts resulted in the abrupt termination of an over 300 million years-long evolutionary stage dominated by basaltic volcanic activity and protracted accretion of granitic plutons," Dr Glikson said. The identification of impact ejecta - materials ejected by the hitting asteroid - is based on unique minerals and chemical and isotopic compositions indicative of extraterrestrial origin, including iridium anomalies. The impact ejecta from the Barberton region in the eastern Transvaal indicate the formation of impact craters several hundred kilometres in diameter in oceanic regions of the earth, analogous to the lunar maria basins (large dark impressions on the surface of the moon). The seismic effects of the impacts included vertical block movements, exposure of deep-seated granites and onset of continental conditions on parts of the Earth surface. In the Pilbara, the formation of fault escarpments and fault troughs is represented by collapse of blocks up to 250-metres wide and 150-metres high, buried canyons and a major volcanic episode 3240 million years ago. "The precise coincidence of the faulting and igneous activity with the impact deposits, coupled with the sharp break between basaltic crust and continental formations, throws a new light on the role of asteroid impacts in terrestrial evolution," Dr Glikson said. Preliminary indications suggest that at about the same time the Moon was also affected by asteroid impacts and by resurgent volcanic activity. 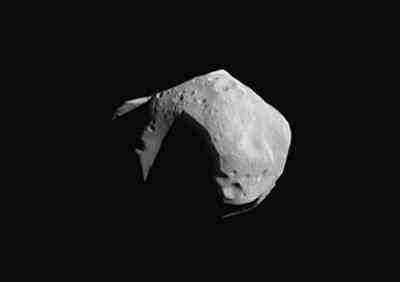 Dr Glikson and Mr Vickers will continue to investigate the extent and effects of large asteroid impacts by studying early terrains in other parts of the world, including India and Canada.